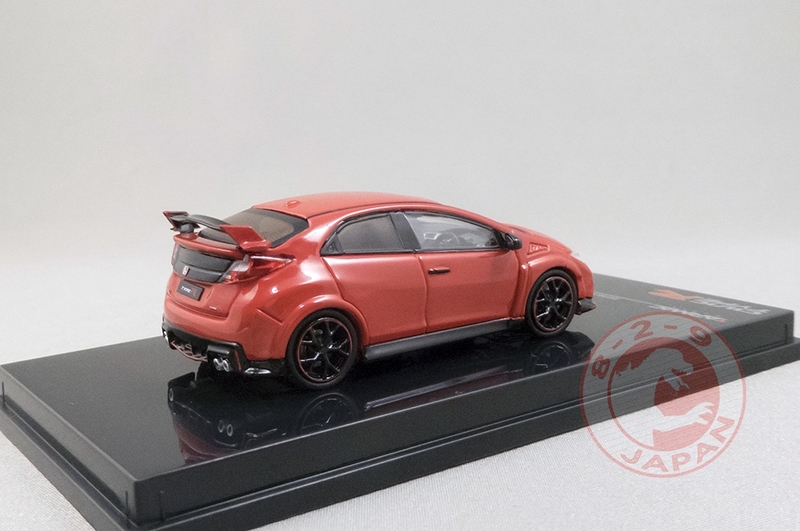 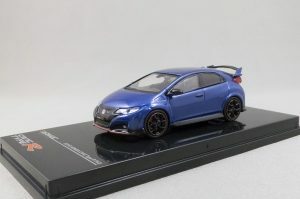 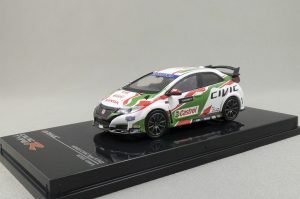 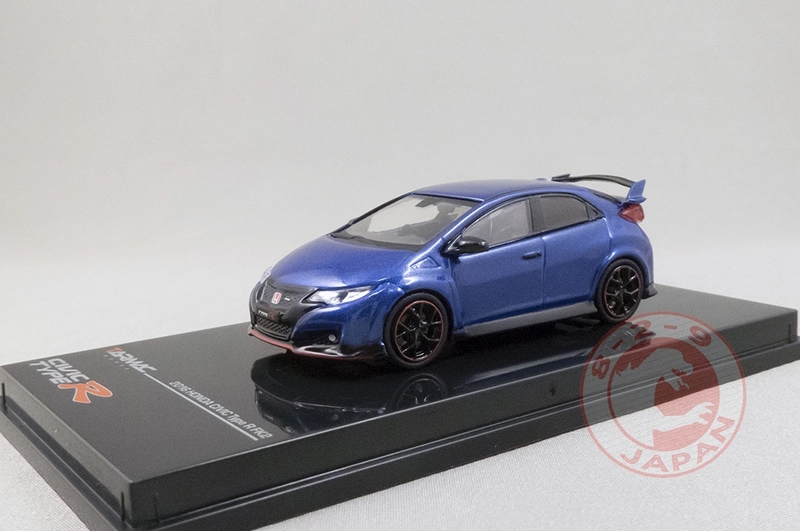 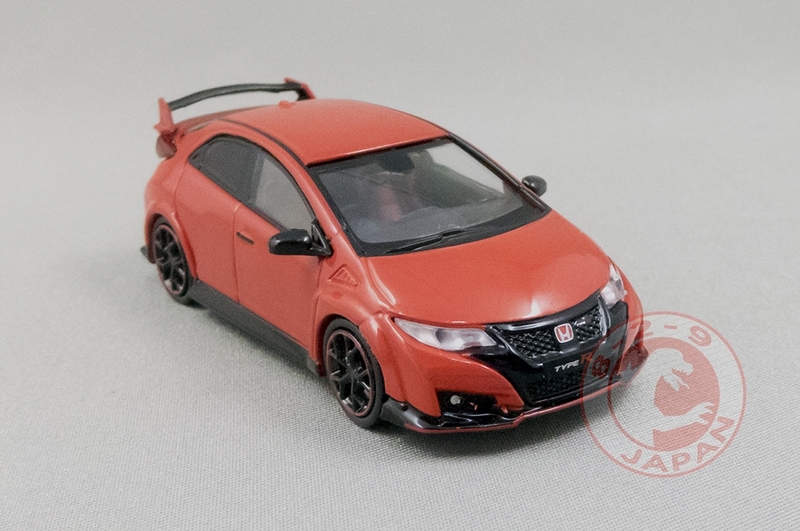 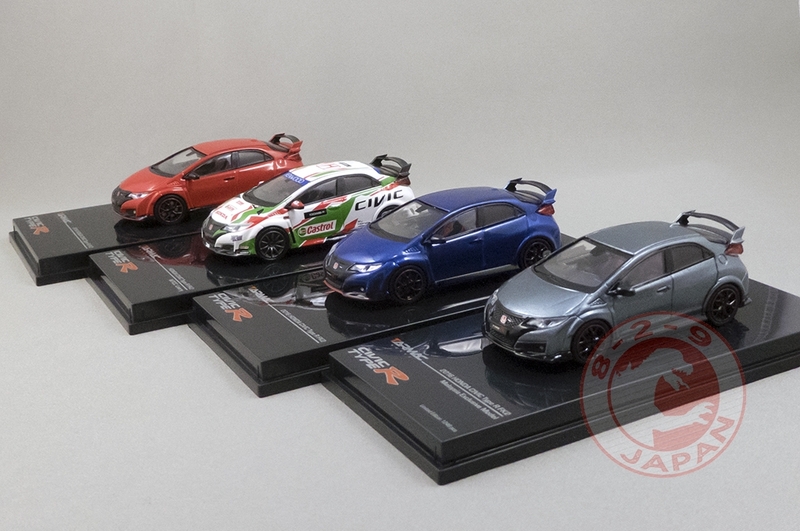 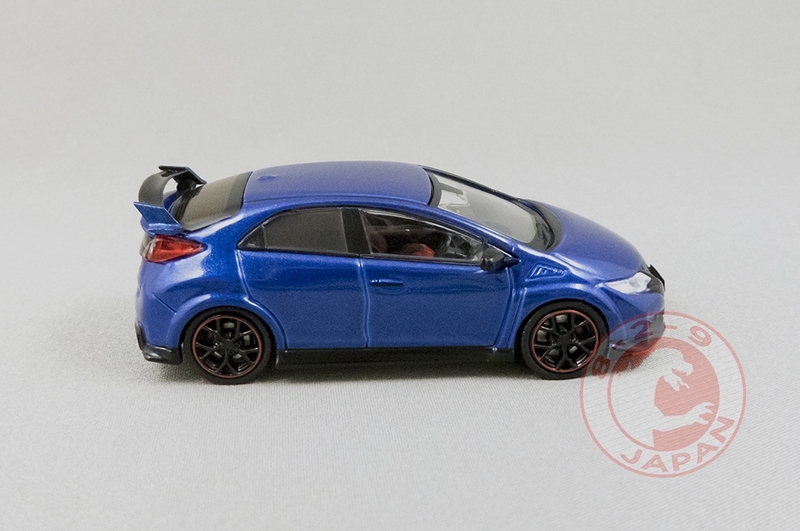 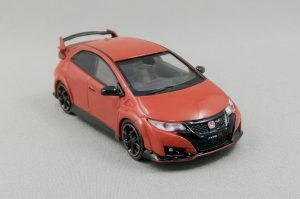 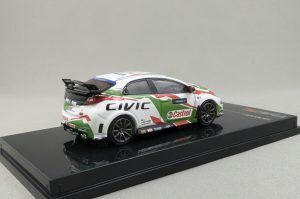 Tarmac Works just released more Civic Type R FK2, time to take a closer look at a few of them. 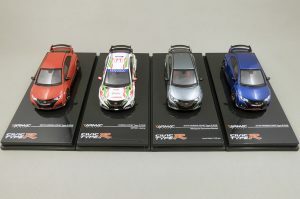 Even though the FK2 was produced for only 2 years it gained many fans all around the world. The look of the car was a key to its success and Tarmac Works managed to capture its aggressive stance for their 1/64 scale model. 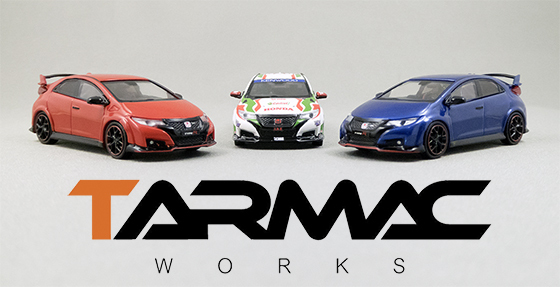 Once again another gem by Tarmac Works. It seems like they can take the 1/43 scale level of detail to the 1/64 scale. The interior is so detailed that even the rear-view mirror is there ! 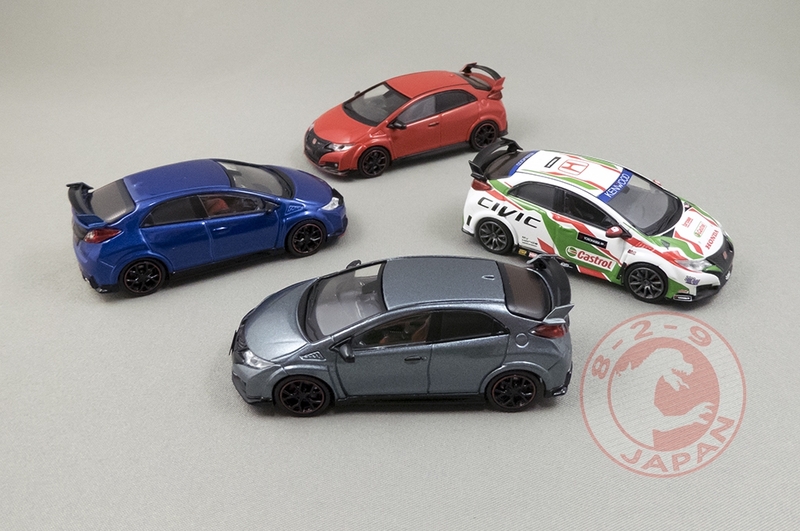 The wheels are accurate and sharp, definitely one of Tarmac’s strong suit. 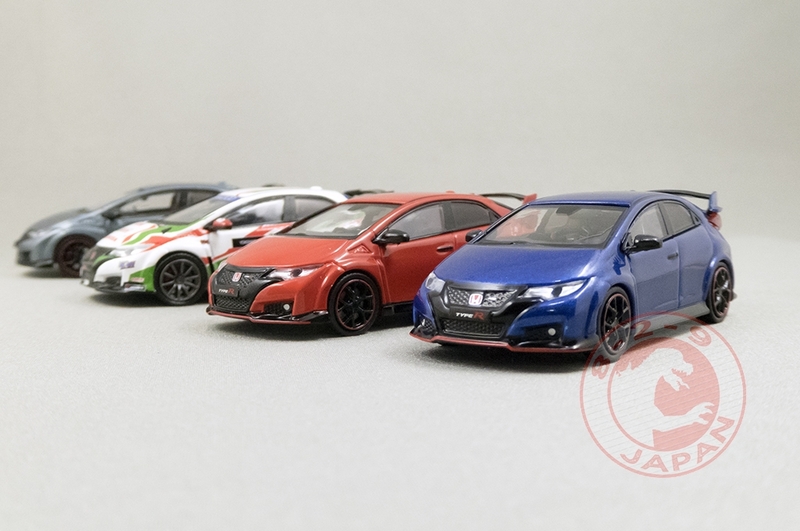 Can’t wait to see their 1/64 wheels line. 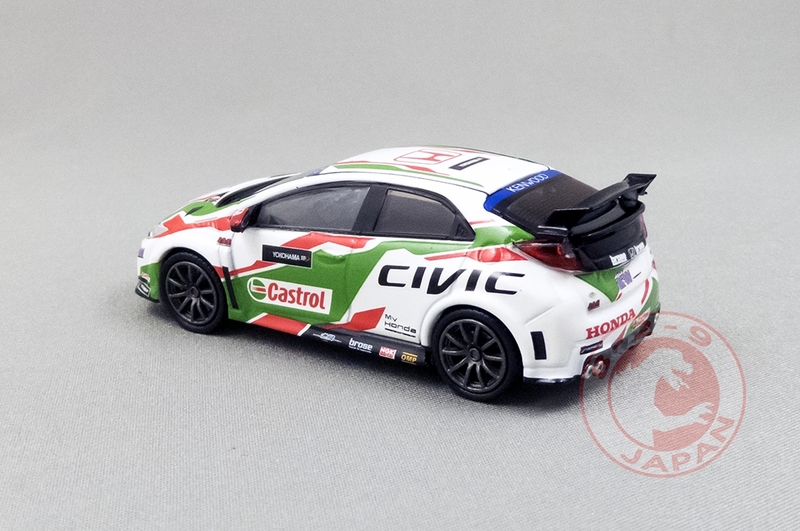 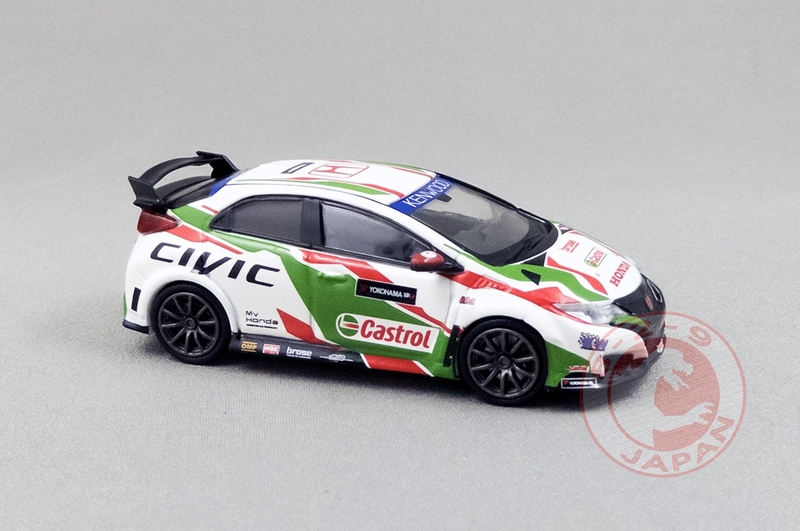 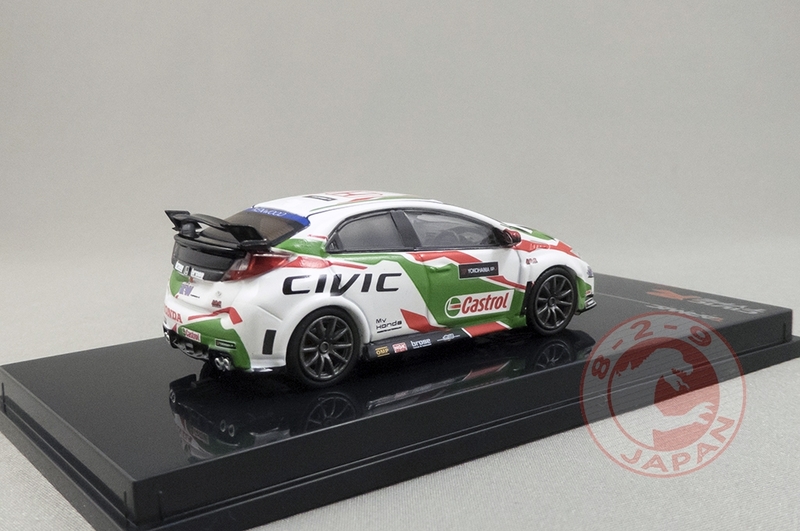 The WTCC version is inspired by the Castrol Honda official team car, and the livery is flawless. The wheels are true to the real car but the body is a stock FK2 with minor modifications like the rear bumper reaching lower and the absence of licence plates. Too bad the model doesn’t sport a proper racing wing to look meaner. The Polished Metal Grey version will be sold exclusively in Malaysia and limited to 1248 pieces. 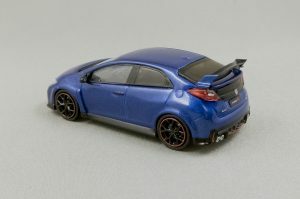 Tarmac has a few on sale on their website so make sure to act fast if you are not in Malaysia ! 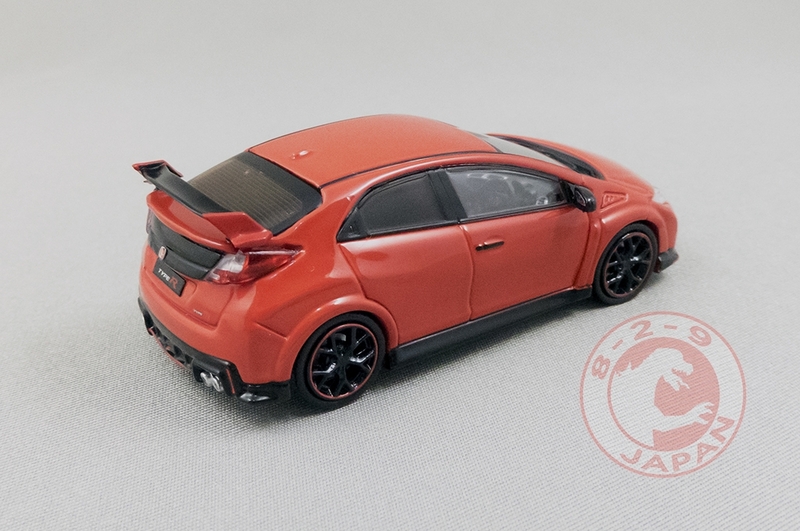 This color suits the FK2 perfectly. 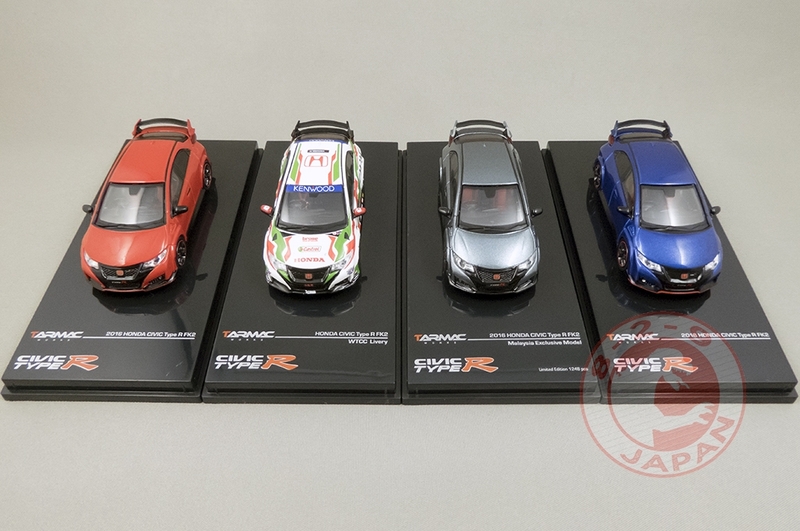 Beautiful line up ! 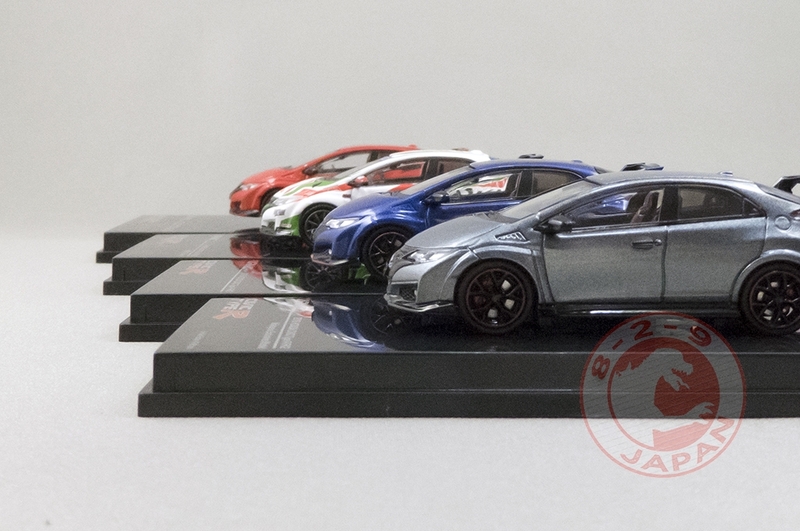 Easy to take nice pictures when the models are close to perfection, no matter the angle they always look good ! 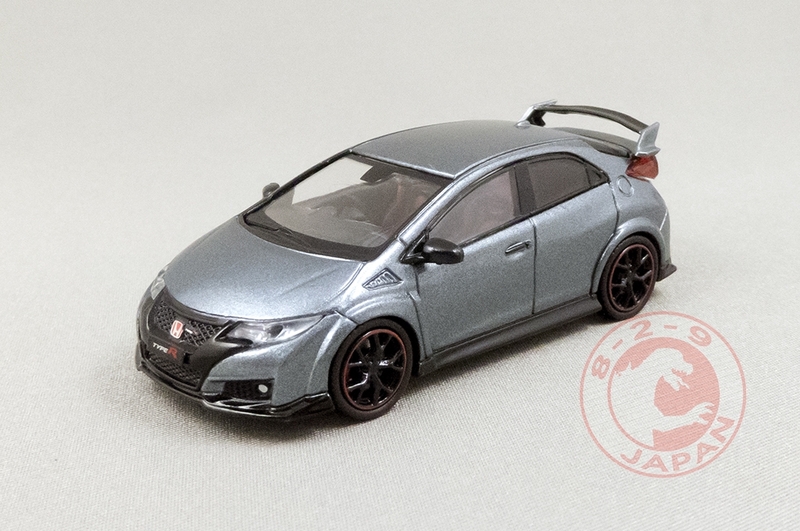 If you like the Civic Type R FK2 chances are that you already own one (or more!) 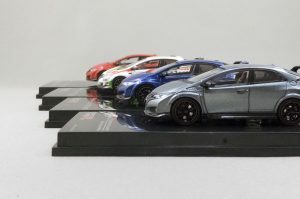 of those miniatures. 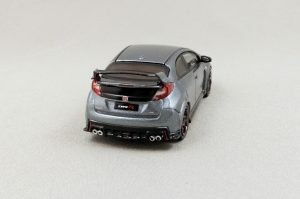 If not you can jump in and certainly won’t be disappointed !